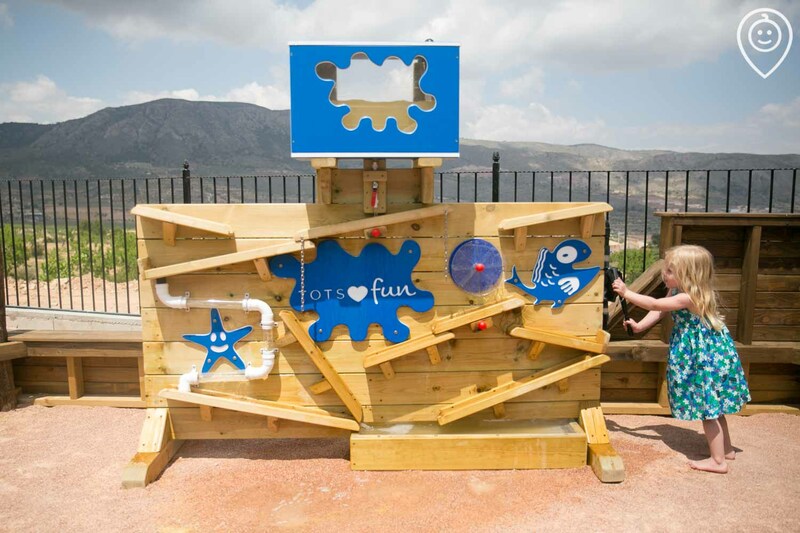 Part of our Tots Exclusive Experience collection and carefully designed with tiny tots in mind, this idyllic Spanish haven combines family fun with a true taste of Spain. 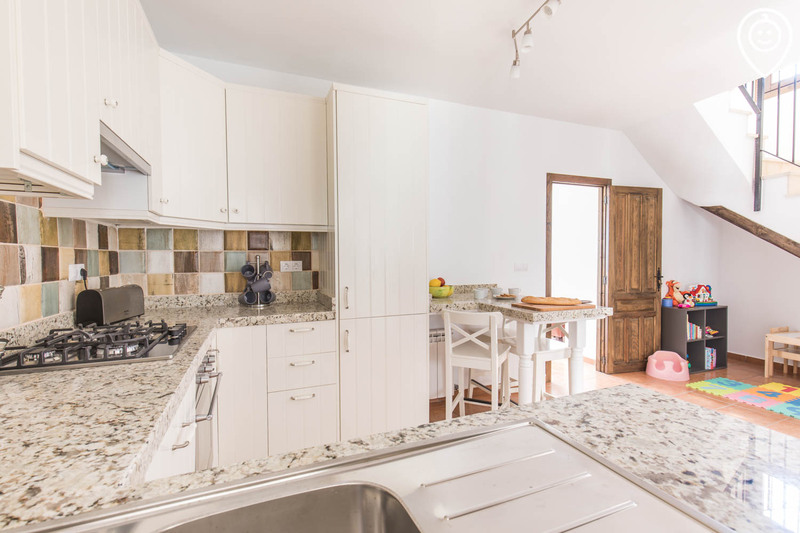 Little ones can spend days splashing in the pool, playing in the huge playground and making new friends giving you a chance to relax at these tot-perfect villas. 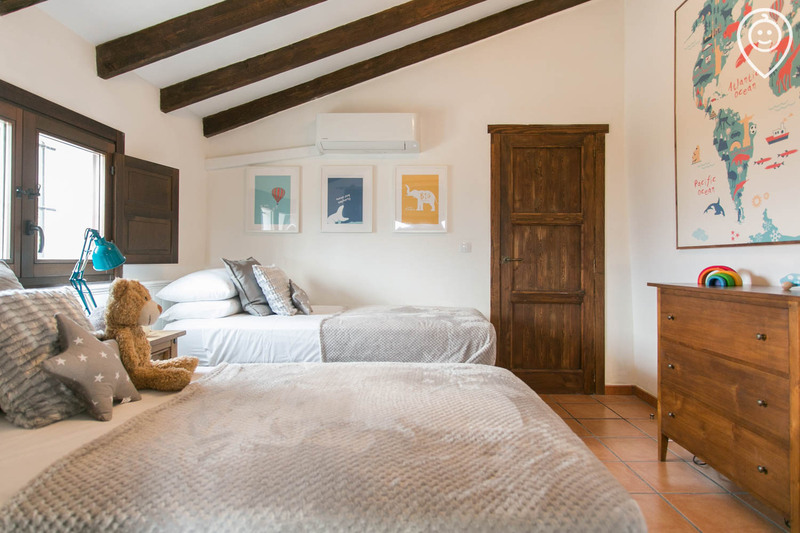 One of The Times' 50 Best Villas in the Med 2018 and praised for the 'top-notch facilities for families with young children'. Just returned from a two week stay with 3 under 3. It was the best holiday I’ve had. The gated areas allowed me to relax and let them wander off to play safely. The pool really is that fabulous! Toddler shallow area a brilliant idea for them to play. The playground really is that big and for sole use of the three villas. I wondered if it might have been a local park but nope it’s there! The kids adored it and again safely. 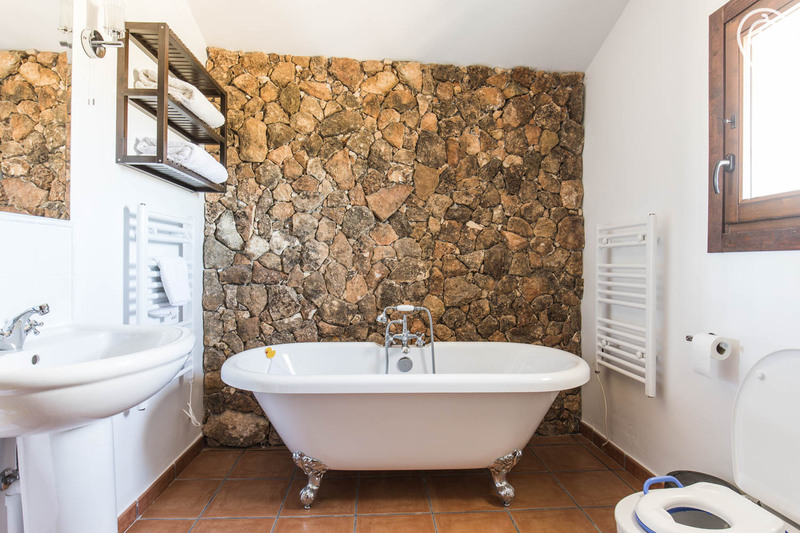 The house is tastefully decorated and gorgeous fluffy white towels! Stairgates, kitchen cupboard locks, cots, bed guards, night light, high chairs and sippy cups all greatly appreciated. Although the hosts were there we didn’t know and no one intruded on our quiet family time which was nice. But at the same time we knew if we needed anything we could ask. Activities for the kids was a lovely idea and the complimentary meal and drinks for adults a nice touch. Honesty bar was fab, supplying milk helped as local supermarkets not that into the fresh stuff. Welcome food was awesome. Very accommodating to our 2am arrival and so lovely to have a cup of tea, toast and sandwich for lunch before worrying about venturing out. You’ve got an amazing place and I will be sure to recommend it. Another wonderful family holiday at Almond Grove. Second year in a row and we’ll be back next year, especially since there are enhancements and new services each year. We are welcomed like part of the family. 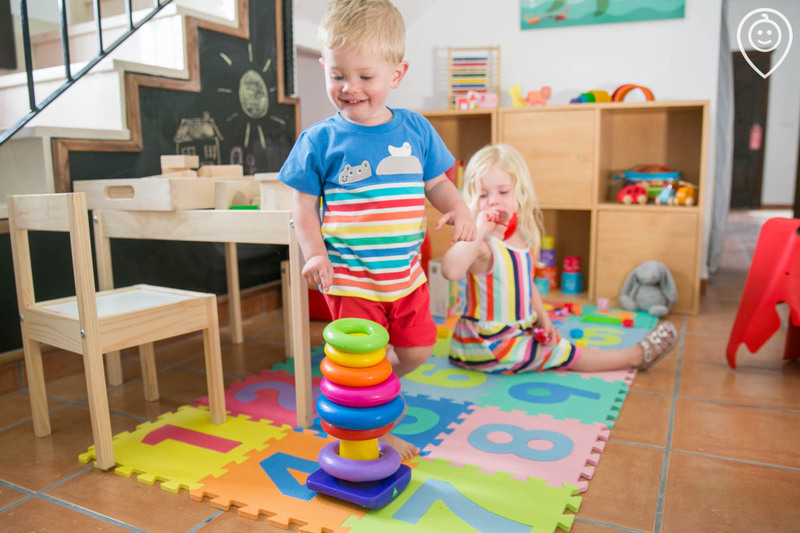 The facilities are perfect for families - the children can play safely and you can keep an eye on them while you relax. Beautifully peaceful, sharing with just a couple of likeminded families but we often had the place to ourselves. Bliss. 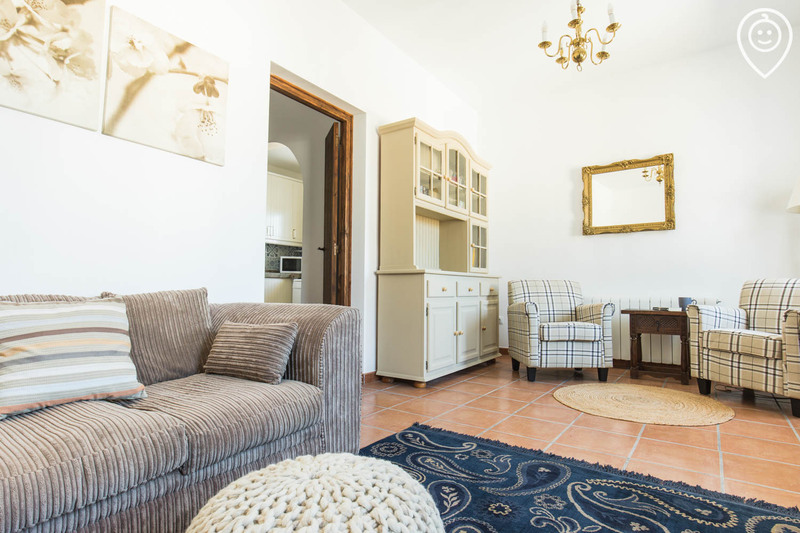 We have just returned from Almond Grove and have nothing but positive praise not only for the location, accommodation, and the facilities but also for the hosts, their children and of course Max and Mia the dogs. We have 16 month old twins and a 3 year old toddler so finding a suitable holiday destination not to far from the UK which is 'toddler friendly' is quite a tall order. I spent many a night looking until I stumbled upon this which seemed to tick all my boxes and I assure you there were many! 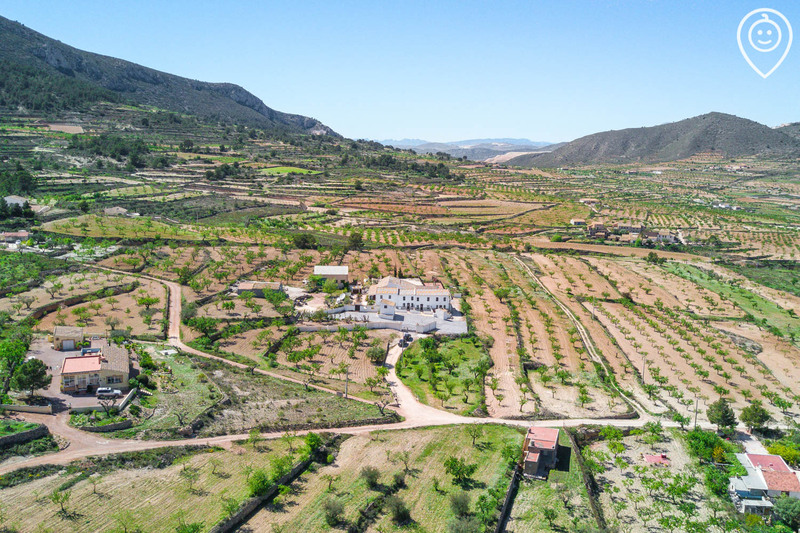 Sometimes places don't live up to your expectation but actually Almond Grove exceeded ours and we have already booked to go again next year! The accommodation is beautiful, home from home! Lovely decor, a welcome pack with essentials, Sky TV, better internet than at home and the best bit for us it had all the baby paraphernalia included which means we didn't need to worry about how we would cope with 3 children living abroad for a week. Highchairs, monitors, cots, toys, changing mats, bath toys, potties, bath seats - the list is endless! The facilities are superb too - an adult pool, toddler pool all gated, endless kids bikes/scooters, a pirate ship sand pit, climbing frame, trampoline with soft flooring and shade, a pool table, a bar, darts board, separate play area inside for the kids, changing facilities, free lollies - what more could you ask for!! The hosts really make this place too. So passionate about what they have created and also they go out of there way to ensure you have a super holiday, always wanting feedback to help make the holiday even better (if its even possible)! They arranged a birthday cake for my husband and organised a meal out and even drove us so we could have a drink! Now where do you get this level of hospitality?! What isn't obvious from looking at the photos is all the extras they arrange for your stay. Welcome BBQ, cinema night with Sangria and popcorn, Mummy Monday, homecooked dinner and facial with a glass of prosecco, craft mornings for the kids, free lollies, free bar for 2019. These added extras are just the icing on the cake! Fab, Fab, Fab!! no criticism here only deserved praise for an amazing family with fantastic vision of what families want/need on holiday. Honestly faultless, please book you will have the most stress free holiday you'll ever have creating lasting memories for you and your family. We decided to rebook within ten minutes of arriving. Property was excellent and the hosts brilliant. Everything about the place was perfect! We were very well looked after during our stay. The pool and park are amazing and the whole place is secure and safe. Wonderful holiday at The Almond Grove. Nikki and Andy were wonderful hosts and provided just enough care and attention without being intrusive. The villa was perfect - just as we had hoped and the toddler pool and playground were excellent so lots of fun was had by our 3 year old daughter. We hope to visit again one day. What a fantastic place to stay! Set up in the Spanish hills with lovely views. Plenty of toys for children to play with and the pool and playground is lovely! Our hosts were fantastic and could not have done more for us. Their children were so lovely to our children and made them feel very safe and happy. The complimentary BBQ was delicious and gave us time to relax after our travels. The villa itself was great too. Milk, bread and nibbles on arrival with wine too. ABSOLUTELY EVERYTHING was thought of, from sterilisers to swim nappies. A great holiday if you want to relax and just watch your children play and enjoy themselves without the worries of this world. Very informative about the local area for where is good to eat and the beach is about 40 mins drive. We went twice. An absolute gem discovery and we will definitely be back soon! Thanks again! We've only been home an hour and already feeling holiday blues. Till next time! The most peaceful retreat with incredible hosts. Laying next to the crystal clear pool, hot sun beating down, is absolute bliss. 5* accommodation facilities and furnishings, great authentic food and perfect surroundings. Will stay time and time again. Thank you Andy & Nikki for always making our stay so inimitable! Beautiful location with breathtaking views. So peaceful and relaxing, a true escape. Can't wait to go back. 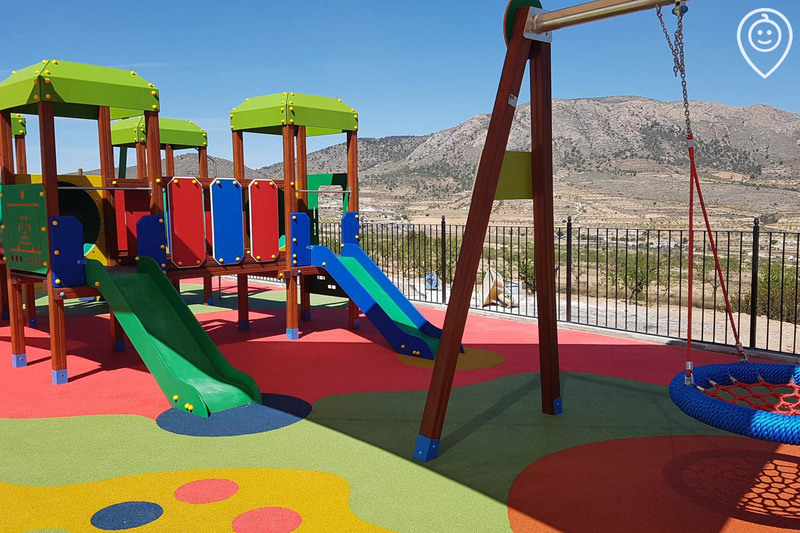 For the little ones, hours will be lost at the Almond Grove pool and play zones - most likely with their new found holiday playmates! Every detail here is about the children, meaning they will be in their absolute element. Making sure the most important family members get the wow factor when they walk in! 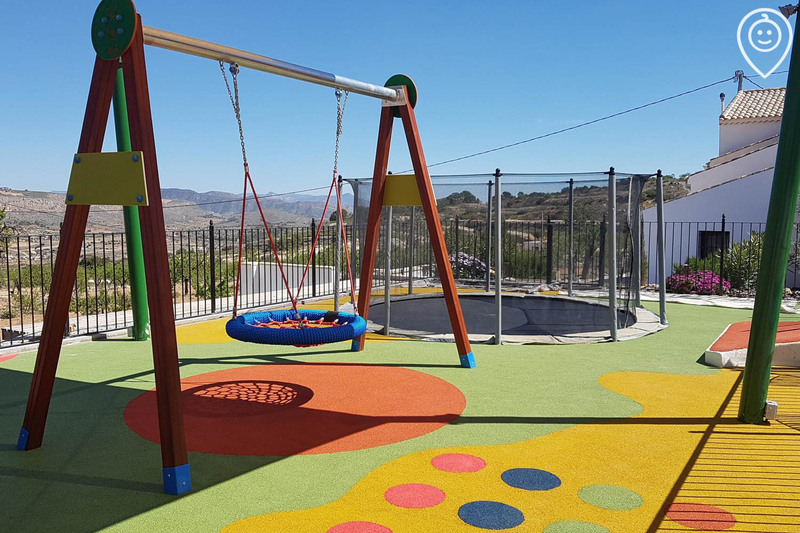 It’s clear to see that kids fun is the priority here, the playground is huge meaning little ones can play to their hearts’ content. More importantly it’s safely fenced, has shade and is in full view from your poolside sun lounger. 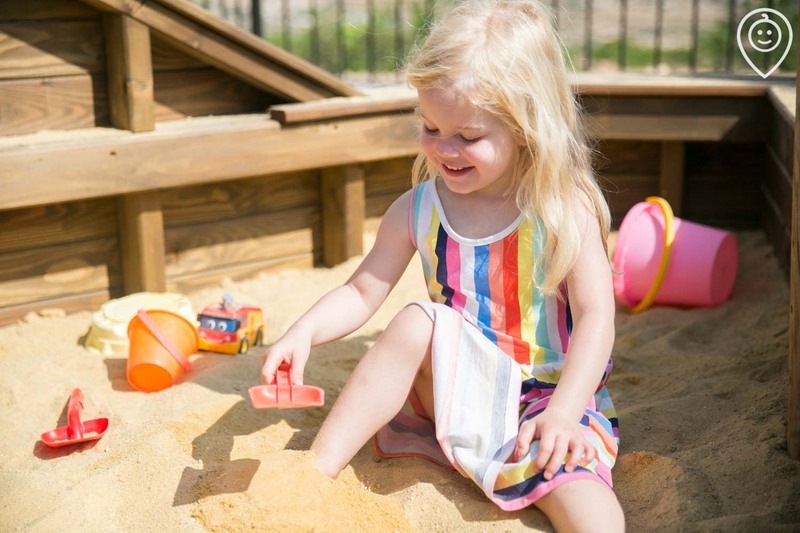 Hours of fun can be had in the giant sandpit or splish splashing with the water play toys. Let the little ones get creative with the craft kits or start exploring with a treasure hunt. The ideal hangout for some indoor play time. Packed with toys and games, plus dressing up and DVDs. Right next to the bar area, so mum and dad can supervise with cool drink in hand. With movies and popcorn for the little ones and Sangria and nibbles for the grown-ups, the whole family can settle down together to enjoy Almond Grove Family Cinema Nights. If you fancy an evening out, English-speaking babysitters are available to book meaning you can relax knowing that your tots are in safe hands. There will be no rumbling tummies or stressed mummies – from the fabulous weekly barbecue, to the welcome pack, home cooked meals and shopping service, plus a great selection of nearby restaurants, you certainly won’t find yourselves stuck for options. Enjoy a taste of Almond Grove’s unbeatable hospitality at the weekly welcome barbecue. The little ones can meet their holiday playmates while you sit back and relax with the other guests. On Mondays you will be treated to a family buffet breakfast, facial and glass of Cava for mum or dad plus a family sized evening meal, all on the house. Don’t stress if you are desperate for a cuppa when you arrive or if the kids need a quick and easy dinner. The complimentary welcome pack has a bunch of essentials to get you going. A genius idea for easy holiday meals. Almond Grove has a freezer fully stocked with delicious home-cooked meals for you to pick from. Ideal after a busy family day out. Help yourselves to the great selection of drinks or let the kids dig in to the unlimited ice pops - all included in the price of your stay. A simple and stress-free shopping service is available to make sure you can get hold of what you need, without having to traipse everyone to the supermarket. Yet another great option for fun holiday mealtimes. Pack up your lunchtime feast and take a walk into the surrounding countryside. 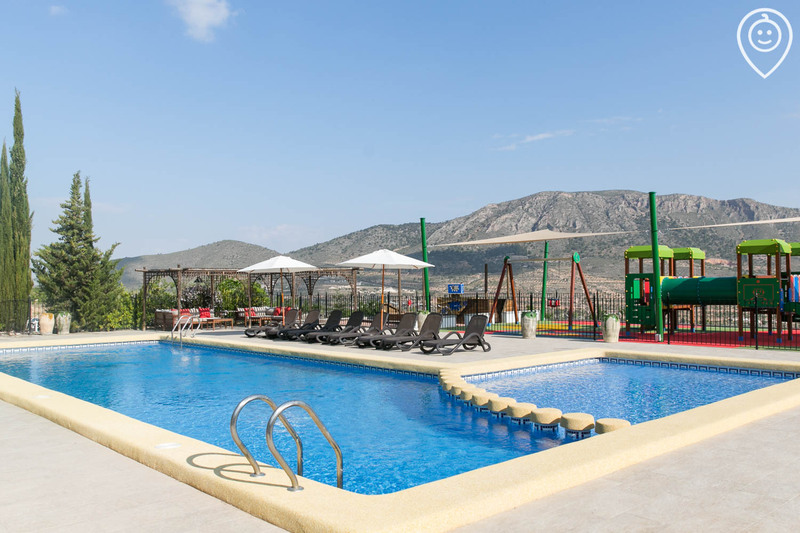 Within five minutes you will be fully secluded and can enjoy incredible views while the kids explore. Picnics and picnic equipment are available to order. If you fancy venturing out, there are lots of nearby family friendly restaurants serving a range of cuisines. Try Bar Victor’s, Route 66 or Panaderia Paco to name just a few. A selection of essential items are available to buy on site such as pasta, coffee, nappies and wipes, so you don't need to worry if you run out. 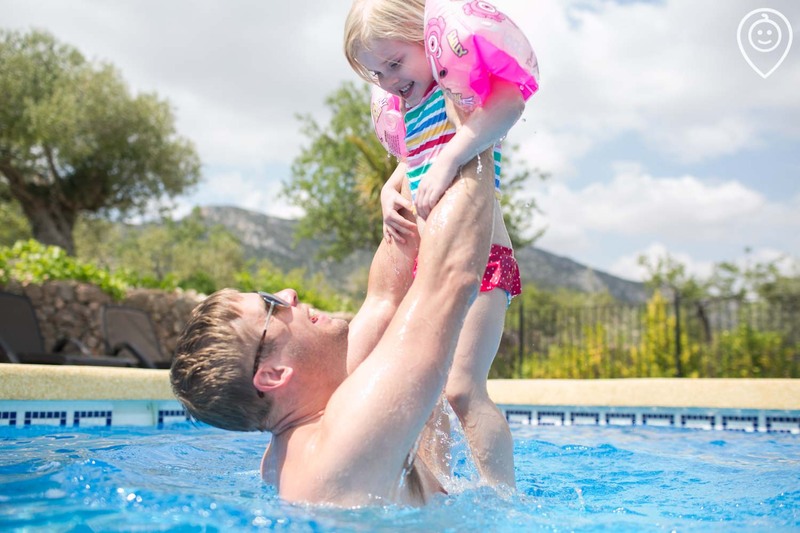 Whether you prefer taking it easy poolside, sandcastle building on the beach, shopping, picnicking or heading out to enjoy some fun family activities, Almond Grove is perfectly situated for enjoying it all. The gigantic shared pool is heated and safely gated and has loads of space for splashing fun and poolside relaxation. The separate toddler section ensures non-swimmers can have plenty of water play too. 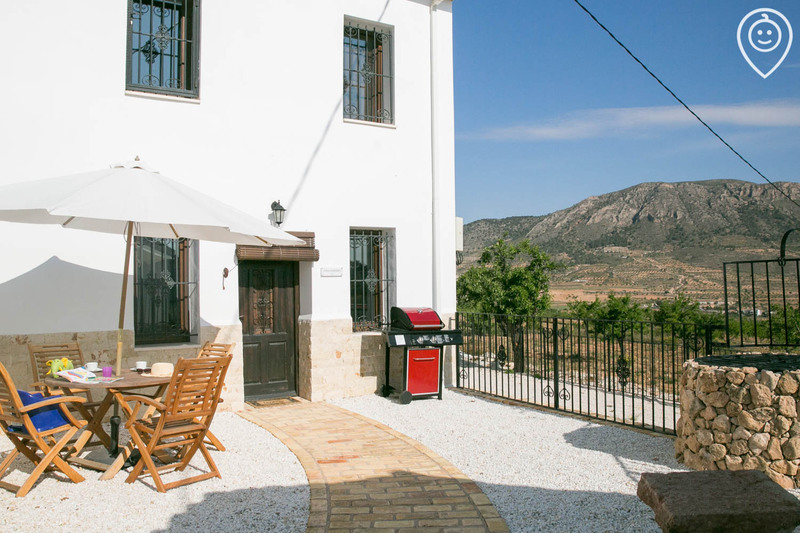 Famed for its golden sandy beaches, the Costa Blanca coast is 45 minutes’ drive. Our top pick is Playa Lisa in Santa Pola which has lovely calm and shallow waters, soft sands and lots of great restaurants and shops nearby. From water parks, to aquariums; chocolate factories to world heritage sites; local markets and much more, you’ll find plenty of family attractions in easy reach. Can you think of a better spot to snuggle up with your little one for a story? Find your perfect chill space at Almond Grove. For an excursion that keeps the family out the sun and is an opportunity to pick up some holiday shopping, head to one of the region’s shopping centres. L’Aljub and La Zenia Boulevard are our recommendations. 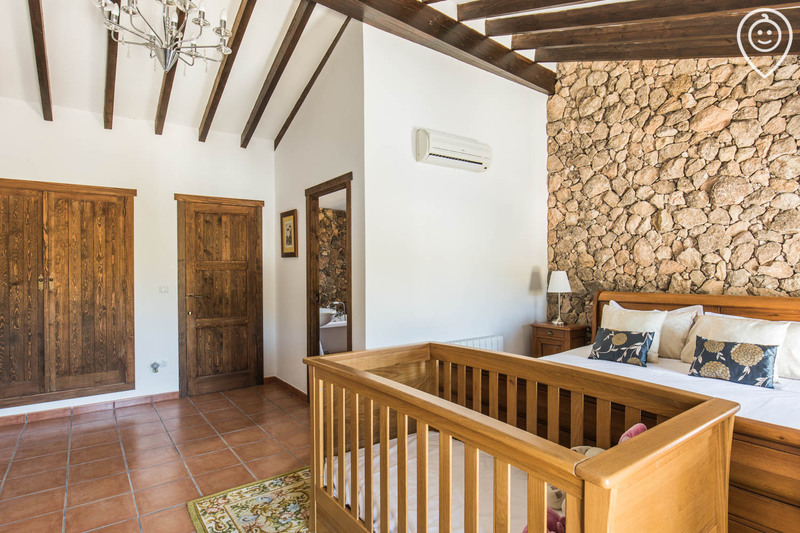 These beautiful Spanish villas has been completely renovated, combining modern characterful interiors with practicality for families. 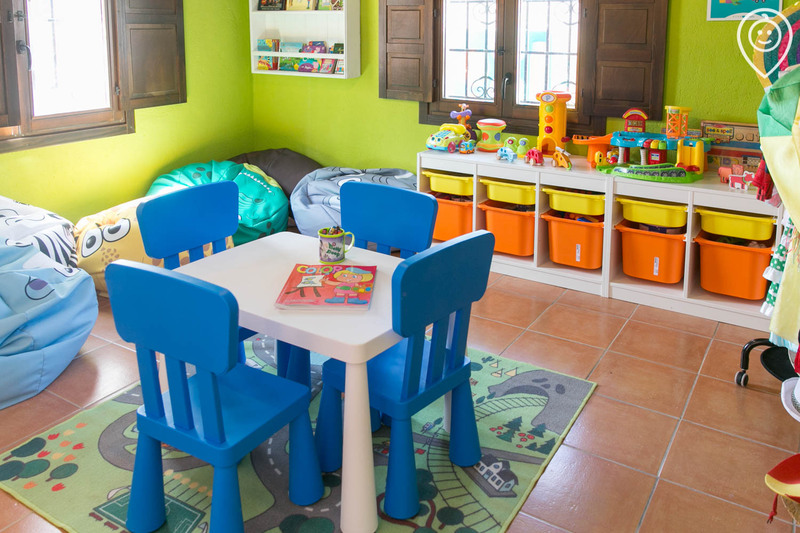 Little ones will be in their element with their own designated play areas stacked with toys and books. Prices shown are per villa per night.